Important considerations for parents, grandparents, and children about funding the college experience. Conversations about your children’s or grandchildren’s career road map can start anytime, but generally kick into high gear in early high school. That’s when answers to “What do you want to be when you grow up?” start to become less conceptual as you talk about what they hope for the future, as well as any aspirations you may have for them. Whether their plans involve pursuing a traditional college route (with potential plans for advanced study) or aspiring to art school, travel, or an apprenticeship, a key factor in evaluating the viability of those plans is understanding the potential cost. Increases to college cost generally mirror inflation. According to The College Board, tuition and fees at public four-year institutions increased at an average rate of 3.2 percent per year beyond inflation for in-state students over the 2007/2008–2017/2018 school years. The College Board estimated average costs for public four-year colleges to be $9,970 per year in tuition and fees for in-state students for the 2017/2018 school year. Private nonprofit four-year colleges cost an average of $34,740 per year in tuition and fees. On top of this are the cost of housing, food, books, and living expenses. These numbers show why it’s important for parents and grandparents to communicate clearly with each other — as well as with children and grandchildren — about the reality of what their educational plans may cost and how to pay for these expenses. This is an important time to have practical discussions about expectations and finances. What are your — and their — educational and financial expectations? Are you supporting the full college experience, including tuition, books, and materials; room and board; and incidental expenses? Or do you expect your child to earn some of the money to cover those costs? Depending on the amount of flexibility and control you seek, there are three primary options: Section 529 plans (also called qualified tuition programs), custodial accounts, and trusts. Here are some things to consider for each option. Potential tax-deferred growth and tax-free withdrawal. Contributions are made with after-tax dollars, but they have the potential to grow tax-deferred. Qualified withdrawals are federal tax–free. And the value of the plan is not included in your taxable estate, yet you still control the money.A special provision allows an individual to make a lump-sum contribution of up to $75,000 ($150,000 for a married couple) in a single year to a beneficiary through a 529 plan without incurring gift taxes, provided no additional gifts are made to that beneficiary for a five-year period (subject to recapture if the investor dies before the five-year period has passed). Ability to change beneficiaries. If the money isn’t completely used or if plans change, you can roll the account balance into another 529 plan once per 12-month period for the benefit of the same beneficiary. 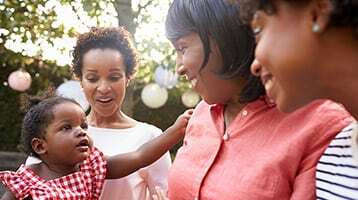 For beneficiary changes to be tax-free, the new beneficiary must be a member of the family of the original beneficiary for whom the account was created — including their siblings, first cousins, or even their parents. Ability to roll into an ABLE account if the beneficiary is or becomes disabled. The 2017 Tax Cuts and Jobs Act includes a provision that allows 529 plans to be rolled into a 529A, or ABLE account, to pay qualified expenses for disabled beneficiaries. Not limited to your lineal descendants. You can set up a 529 account for the children of your employees or a household employee. Or you can fund plans for nieces and nephews or for children in your community. Now applicable to K-12 expenses. The Tax Cuts and Jobs Act also includes a provision that allows 529 plans to be used for K–12 education expenses, including private school tuition and elementary and secondary school expenses. While the Act creates federal guidelines for 529 plans, it still allows states to create their own parameters. Before taking a distribution for a K-12 education payment, be sure to understand your state’s view to avoid any potential taxes, penalties, or recapture of a prior year’s tax deduction or credit. Qualified education expenses. So long as they are connected to a college student’s enrollment or attendance, qualified educational expenses under a 529 plan include: tuition, books, supplies, and equipment; expenses related to the purchase of computer hardware and software; and room and board (so long as student is enrolled half-time and subject to certain limits). Benefits for scholarship winners. If the child receives a scholarship, you may use the funds to pay for qualified educational expenses that are not covered by the scholarship. Or you may withdraw the amount of the scholarship without triggering the 10 percent penalty for nonqualified withdrawals (income taxes, however, still apply). Other options are to leave assets in the account for future use or change the beneficiary on the account to a qualified family member. Another way to contribute toward your child or grandchild’s future education needs is through a custodial account. Custodial accounts let parents, grandparents, and others transfer and invest money for a minor. The accounts offer potential tax benefits and the flexibility to use funds for educational or non-educational expenses. As custodian, you are responsible for making sure that the account funds are used for the benefit of the minor child, so you can use funds to pay for education costs until the child’s age of majority in your state (generally between 18 and 21). Keep in mind that all gifts/transfers to a minor are irrevocable, and the donor retains no rights in the property. That means the assets cannot be used for the parents’ benefit or to benefit any other sibling. Once the child reaches the age of majority, your control over the account ceases. At that point, your child can use his or her discretion on how to use the remaining dollars in the account, whether that is continuing to fund his or her formal education or to pay for a year abroad, for example. A trust enables you as the grantor to dictate the terms and thereby direct how and when trust assets are used. However, a trust requires the services of an attorney and is more complex than a 529 plan or custodial account in terms of initial setup and ongoing maintenance. Even when using trust assets to fund your child’s educational expenses, you can further increase the tax efficiency by making tuition payments directly to the educational institution. Tuition payments made on behalf of another person are not considered taxable gifts and therefore are not subject to the gift tax annual exclusion. As a result, parents and grandparents who already fully utilize the annual exclusion with regard to a child/grandchild can make additional tax-free transfers for tuition as well. Please consult with your tax and legal advisors regarding your particular situation. Working toward goals. Discuss what they hope to accomplish and how that will inform how they prioritize their time. Budgeting. Help them understand realistic potential expenses during college that may be new to them – for example, the cost of using a service versus doing their own laundry. There is no better time to hone financial literacy skills. Preserving credit quality. If you give them a credit card, what are the expectations? Do they have their own card, and do you see the charges? Who pays? Maintaining contact. Establish when and whom to call if there are emergencies, offering an open invitation to call when needed. Sheri Masters is Managing Editor of Wells Fargo Conversations. Michael Gibbs has appeared in The New York Times and Harvard Business Review. A trust can be a great tool for passing assets to your descendants and can also help your grandchildren meet their goals. Please consider the investment objectives, risks, charges, and expenses carefully before investing in a 529 savings plan. The official statement, which contains this and other information, can be obtained by calling your financial advisor. Read it carefully before you invest. Section 529 plans are subject to enrollment, maintenance, administrative, and management fees and expenses. Nonqualified withdrawals are subject to federal and state income tax and a 10 percent penalty. College savings plans offered by each state differ significantly in features and benefits. The optimal plan for each investor depends on his or her individual objectives and circumstances. In comparing plans, each investor should consider each plan’s investment options, fees, and state tax implications. An investor should consider, before investing, whether the investor’s or designated beneficiary’s home state offers any state tax or other state benefits, such as financial aid, scholarship funds, and protection from creditors that are only available for investments in such state’s 529 college savings plan. Wells Fargo & Company and its affiliates do not provide legal advice. Wells Fargo Advisors is not a legal or tax advisor. Please consult your tax or legal advisors to determine how this information may apply to your own situation.